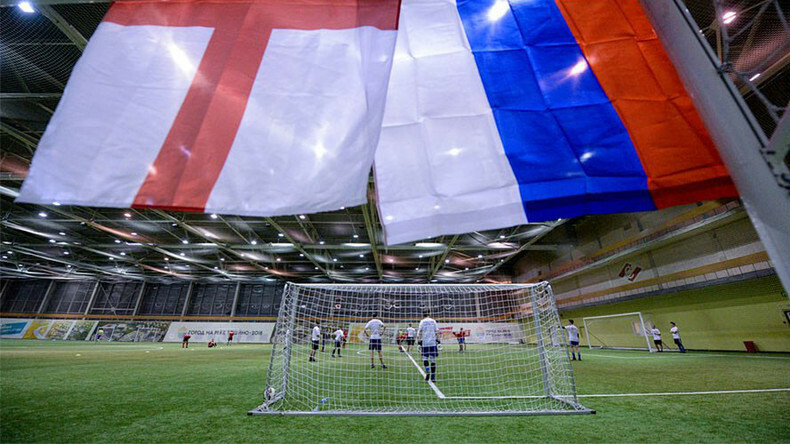 A team of Russian journalists and a team of English ex-pats got together in Moscow on Tuesday to stage a ‘Football Without Violence’ friendly match in an attempt to promote a positive atmosphere between the two countries. The match, which ended 2-2, was played at Spartak Moscow’s training base, aimed to convey a welcoming image of football in Russia ahead of the 2017 FIFA Confederations Cup and 2018 FIFA World Cup, both of which will be held in the country. “You have bad fans in every country, but we’re here for the same reason, which is the love of football,” said Martin, a player from the English team and who has lived in Russia for two and a half years. “I hope the Confederations Cup will be a success and the World Cup of course...and best of luck to Russia - hopefully, its an England versus Russia final at the World Cup,” he added. The attitude and impressions among the English players were one of excitement for the two football tournaments and assurances that the two FIFA competitions will be carried out with impeccable attention to detail where fan safety is concerned. “I often go with my friends to see the Moscow football teams play and see how the police work and at what high level the safety of supporters is carried out,” said Amaan Fazal, an English team midfielder. “We are really looking forward to the 2017 Confederations Cup and are already inviting our friends and relatives to this festival of football because Russia is one of the best places to hold these kind of tournaments. But of course we can’t wait for such a grandiose event as the 2018 World Cup!” said Jack Salisbury, a forward for the English team. Adding to the positive ambiance at the game, another English player spoke of his feeling of safety at Russian football matches, something acquired from his own experience. “I know the (Russian) football culture well enough to feel safe here if I went to see a game and I look forward to when the Confederations Cup and World Cup come. I feel incredibly safe here if I get the opportunity to go and see a game,” he said. Russian cross-country skier and Olympic champion Alexander Legkov and former Premier League and Russian international footballer Alexey Smertin were in attendance to show support for the initiative. 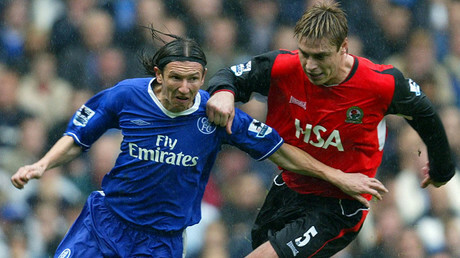 Smertin was last week appointed as the Russian Football Union’s racism inspector. “For me, it’s a very important position that carries a lot of responsibility,” Smertin said when news of his appointment was announced, TASS reported. “I will do my best to make sure there is no place for racism or discrimination in my country. With the Confederations Cup and the World Cup just around the corner, and with Russia as the host country, we must exemplify global tolerance on the pitch, as well as off. We will definitely show this,” he said. The 2017 FIFA Confederations Cup is one of the major events in the world football calendar. Matches will be staged at St. Petersburg's Krestovsky Stadium, the Otkrytie Arena in Moscow, Sochi's Fisht Olympic Stadium, and the Kazan Arena from June 17 - July 2. The 2018 FIFA World Cup, the showpiece of international football, will take place in Russia from June 14 to July 15. It is the first time either of the tournaments will be held in Russia.